E FUN, a leading supplier of tablets and detachables, is launching its first consumer laptops at CES 2016. The new 11.6" Nextbook convertible touch screen laptop and 14" Nextbook laptop feature Windows 10 and are powered by a quad-core Intel Atom x5-Z8300 processor with 2GB system memory. The first convertible-style touch laptop from Nextbook is designed to give users the versatility and portability they need. Its 360-degree hinge allows it to be used in laptop, tablet, tent or stand modes. The Nextbook convertible laptop features an 11.6″ 1366×768 IPS touch screen and 64GB of onboard storage memory with microSD card expansion. With a built-in webcam for video chatting, Bluetooth 4.0 and WiFi connectivity, USB 2.0 and 3.0 ports, and a microHDMI port, the Nextbook 11.6″ laptop delivers the essential features you need for entertainment and work. It will be available in Q2 2016 with an MSRP of $269.99. This Nextbook 14″ laptop is your everyday laptop for basic tasks, debuting for under $200. 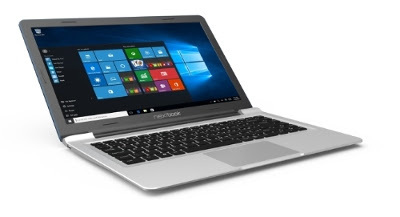 Perfect for students of any age and those looking to be more productive, the Nextbook laptop powered by Windows 10 features a large 14″ 1366×768 screen and 32GB of onboard storage memory with microSD card expansion. Its built-in webcam is great for video chatting, Bluetooth 4.0 allows for connectivity with other devices, and a microHDMI port lets you mirror your screen onto an HDTV. With 1 USB 2.0 and 1 USB 3.0 port, and a full laptop keyboard with touch pad, the Nextbook laptop gives you everything you need in a portable design. It will be available in Q2 2016 with an MSRP of $199.99.